Are you feeling festive yet? 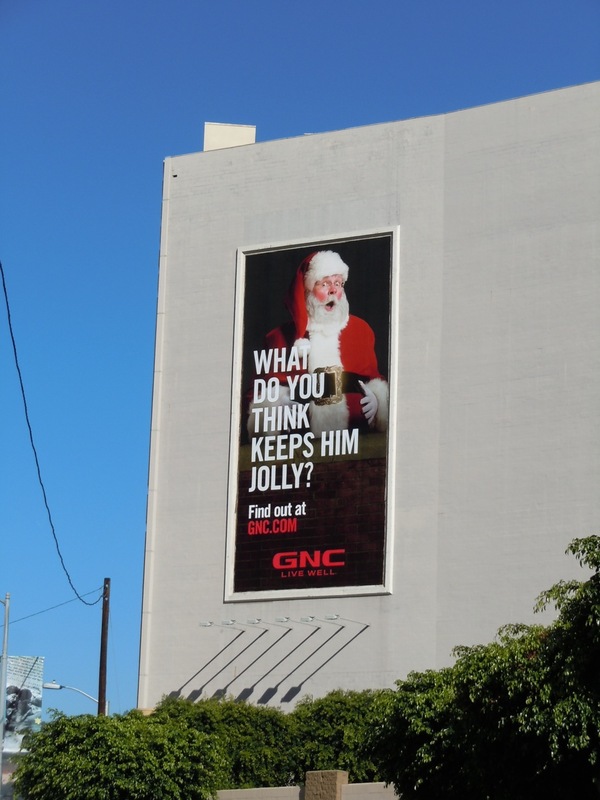 If not, maybe these jolly GNC billboards will get you in the holiday spirit. Even though they arrived almost too early at the end of October, these fun creatives can't help but win you over and make you smile. 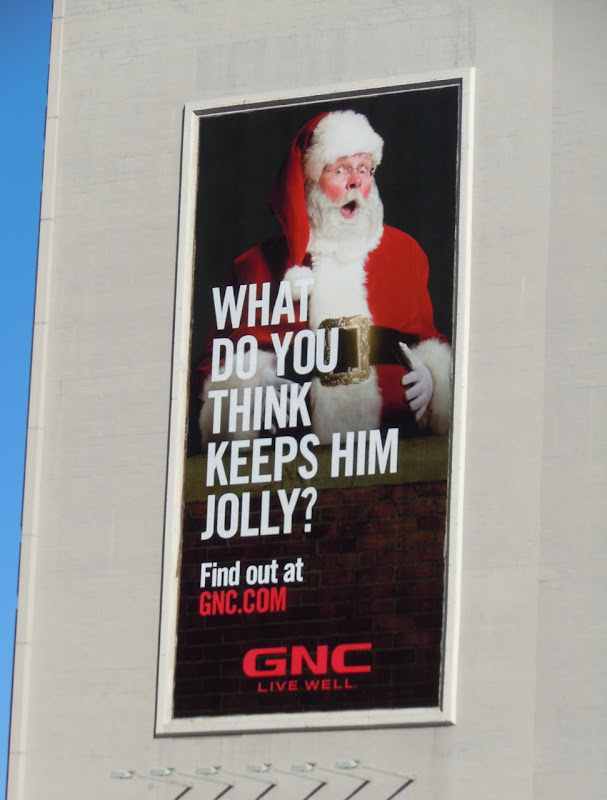 It's funny, he may be the timely choice, but Santa's hardly the healthiest choice for a wellness brand. 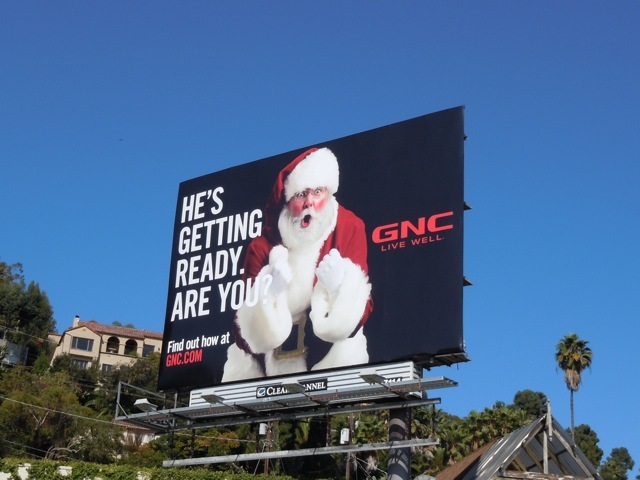 They are certainly a change from the other GNC Live Well billboards that have been gracing the skies of Los Angeles this past year, although they still feel they belong to the same campaign with the black background combined with the red and white copy. 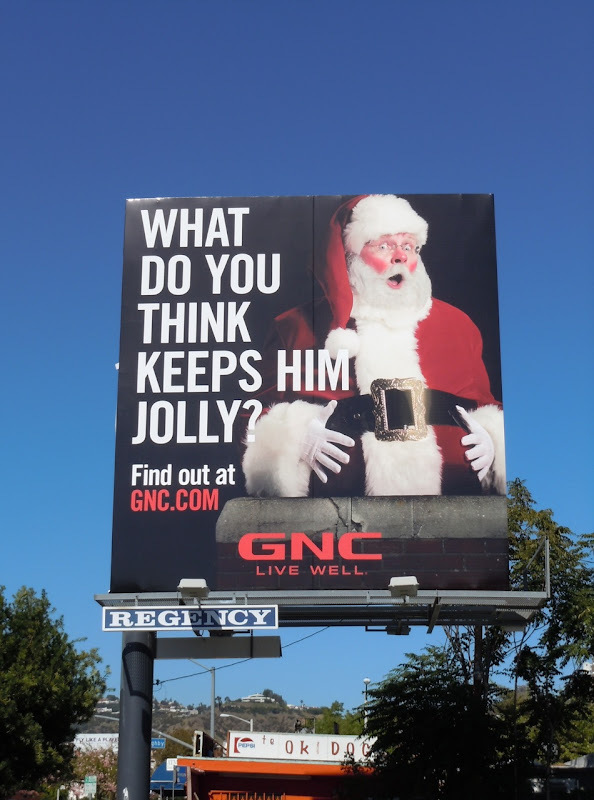 These fun GNC Santa ads were snapped along Sunset Boulevard and Fairfax Avenue on October 27. 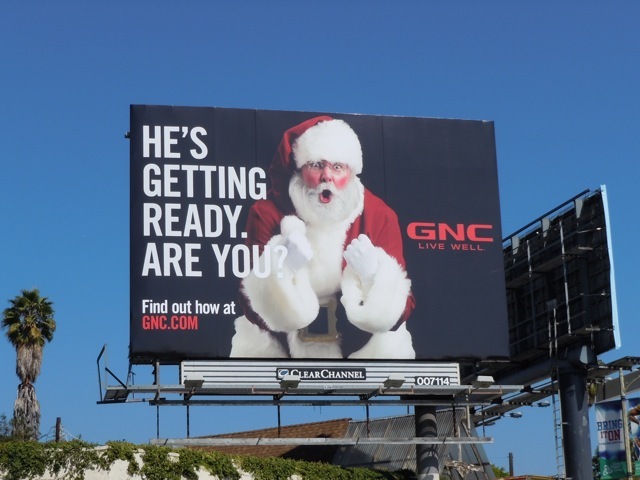 The larger GNC Santa billboard was snapped on the side of the Beverly Center on October 30, 2011.